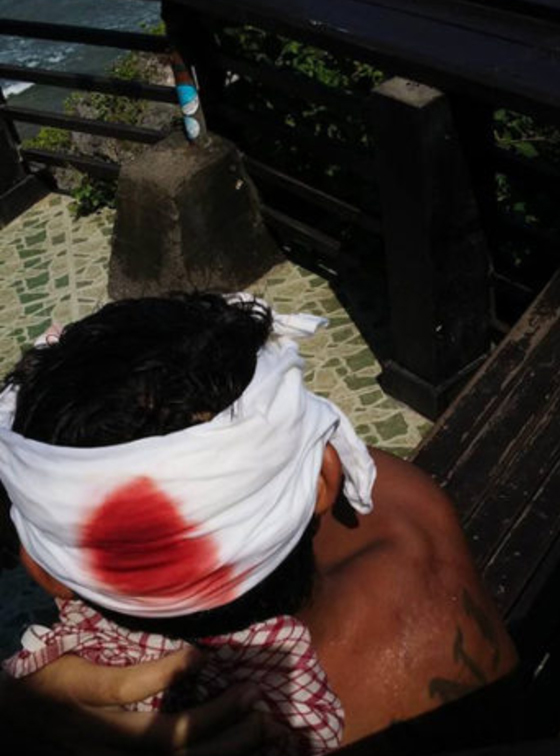 A surfer has been left with a broken nose and requiring 12 stitches after he was run over by a jetski at Uluwatu in Bali. The jetski in question, which was reportedly being driven by one of the owners of the nearby Padang Padang surf camp, was being used for step-offs, which is bizarre considering the waves were reportedly only 6-8 foot and the line up was as densely populated as ever, with dozens of surfers scratching for one of Ulu’s world famous walls. Whilst jetskis certainly have their place in modern surfing, this probably isn’t it. We wish the victim a speedy recovery and hope the driver is apologetic for seemingly reckless behaviour. Let us know in the comments if you think the use of jetski’s should be limited depending on the conditions, or even banned all together if there’s anyone wanting to paddle.